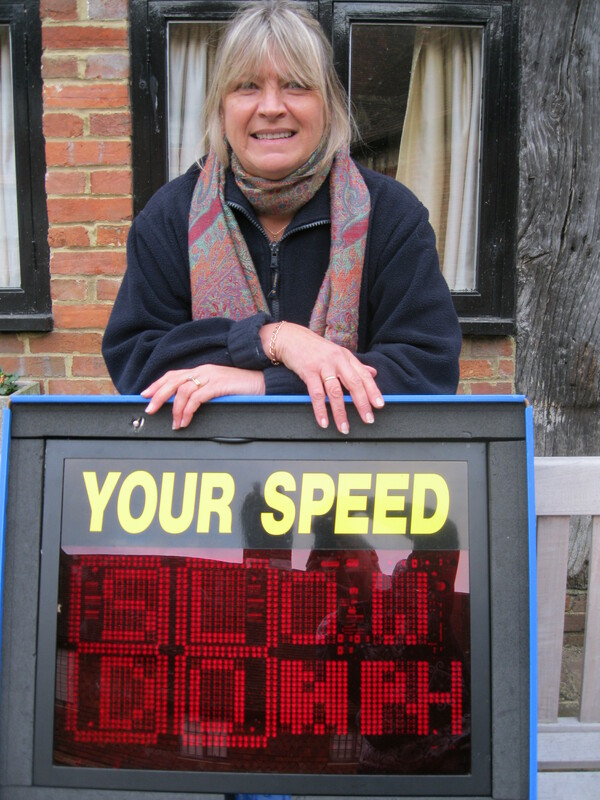 Helping to make Edenbridge an even better place to live is the role of the town’s Community Warden, currently filled by Rose Briggs. Since the role was created in 2002, it has evolved into something unique serving the specific needs of this community. Although the Warden has no legal powers, their activities range from arranging graffiti removal and removal of fly-tipping and abandoned vehicles, to liaison with the police, local councils, and housing associations. The Warden is also able to provide home security advice, especially for vulnerable residents, and also works closely with dog-owners to combat dog-fouling in the area. In order to maintain a pleasant enviroment for everyone, the Warden is able to respond swiftly to matters arising. Rose has also organised and co-ordinated the planting of roadside bulbs during the last and previous Autumns with bulb donations made by local residents and businesses. The Warden also co-ordinates the team of volunteer litter-pickers which augments routine street cleaning, and also the Speedwatch volunteers monitoring driving behaviour. 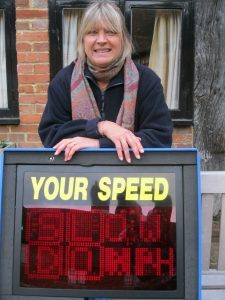 More people are needed to train and join the latter scheme, to work in teams of three collecting speed readings which are submitted to the Police data-base. From that information relevant action will be taken by the Police. Anyone interested in joining this scheme can call Rose on 07920 099 235. The Edenbridge role is not the same as the KCC Community Wardens (which do not cover the town), neither is it the same as the PCSOs. The Warden is supported by a Partnership of organisations which contribute voluntarily to a “jig-saw” of funding and the role makes a link between a network of organisations working for local people. With a visible presence around the town the Warden provides a friendly contact point to exchange pieces of information which can be so useful – in both directions. Rose was ‘Highly Commended’ in the Community Safety category at last year’s Sevenoaks Community & Voluntary Awards and also gained a Certificate of Achievement in the Individual Community Champion category for the work she has done already in her time as our town’s Community Warden. If you’d like to get in touch with Rose you can do so via Edenbridge Town Council on 01732 865 368.